HOUSTON (KTRK) -- More than 200 artists have taken over downtown Houston this weekend in an effort to raise money for deaf children. The eleventh annual Via Colori street painting festival kicks off Saturday and continues Sunday. 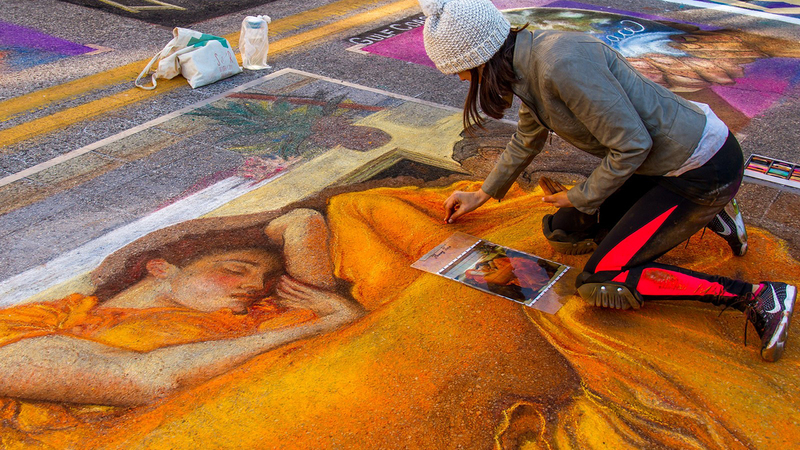 It's the only street painting festival in Texas. For two days, artists transform their own portions of Hermann Square at Houston City Hall into works of art. The event also offers live music and activities as well as a chance to get an up close and personal view of one-of-a-kind artwork. Via Colori raises money for The Center for Hearing and Speech -- a nonprofit that teaches children with hearing impairments different necessary skills. Children under 18 and students with a valid student ID receive free admission. For more information, visit www.centerhearingandspeech.org.